The answer is pretty cut and dry: Backlinks are a link from another external website or resource to the website or web resource of focus. They are similar to a citation or reference. All of the external hyperlinks from Wikipedia (<– This is a backlink to Wikipedia) in the picture above under ‘references’ are all backlinks. Due to this being a research paper it is cited a bit differently than many other backlinks, as it goes to the abstract of the article on Research Gate instead of to the actual article itself. Since these backlinks are actually literal citations they are formatted a bit differently. What other people say about you is more important than what you say about yourself. How did they measure this? There’s a lot of information here, but we’re only really looking at the highlighted part at the end, as the rest is a bit beyond the context of this post. Needless to say there are over 200 things that go into how Google ranks keywords, and backlinks are only one of them. However, they are one of the BIGGEST and most important ones. I’m actually a bit surprised that they did not also mention that higher quality websites are likely to get links from other higher quality websites, but maybe they just assumed this is implied. Nonetheless, both are true. The overall profile of your backlinks is very important, as Google has billions of reference points to look at to determine what it means to have a ‘natural’ and ‘quality’ backlink profile. If you are doing things to game the system you will get found out, it is only a matter of time. I recommend putting your time into building quality content so you can get legitimate backlinks, as those will stand the test of time. This is one of the main signs of keyword stuffing. The last example in the dark red box is a prime example of this in action. Google is trying to get the best search results for the user, so if it determines you are doing things that negatively affect the user experience it will demote your rankings. Google also does not take it lightly when people try and game the system. Make things that are written naturally and informatively that promote a good user experience to rank well. 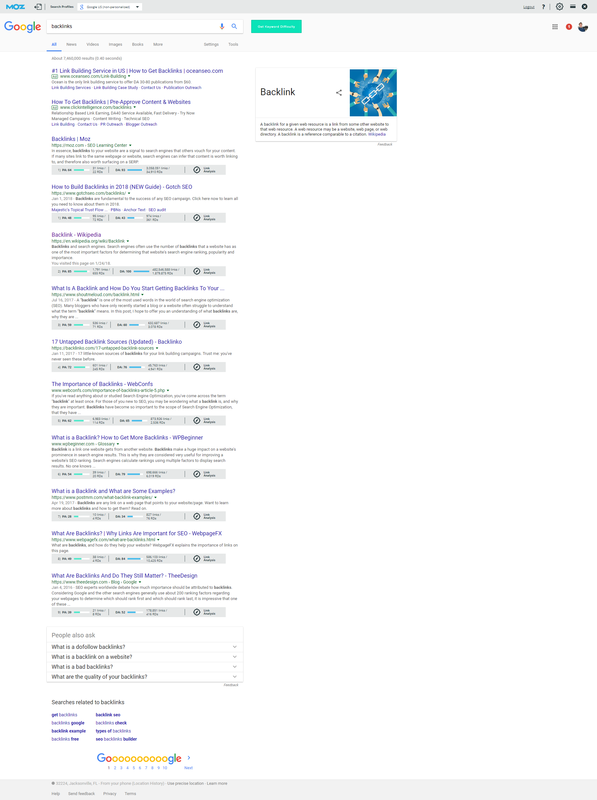 Can you see why keyword stuffing wasn’t great for user experience? Back in the early 2000s this would have worked to rank well for custom cigar humidors. For over a decade now you will just get flagged for spam and likely not rank at all. 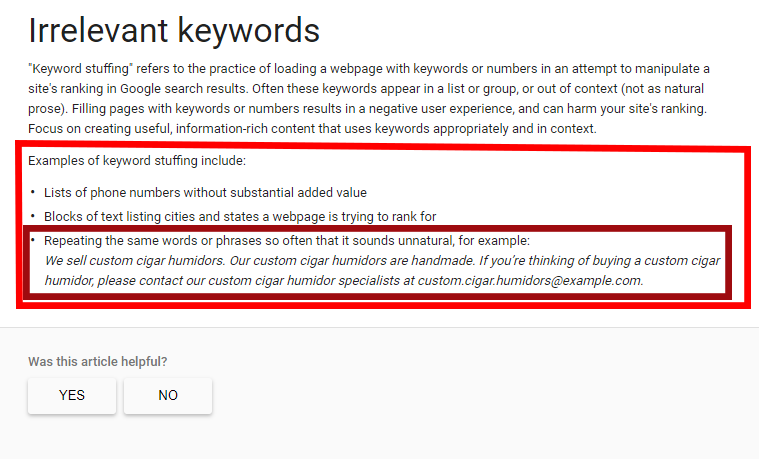 Longer keywords like ‘custom cigar humidors’ make this especially obvious, but even single words can be used in spammy ways. As a rule of thumb try not to have keyword density go above 2%, with 2.5% as a maximum. Once you get to about 1.5% it is better to switch to synonyms or pronouns instead of risking overstuffing. As Google gets better we are able to find what we are looking for even faster. 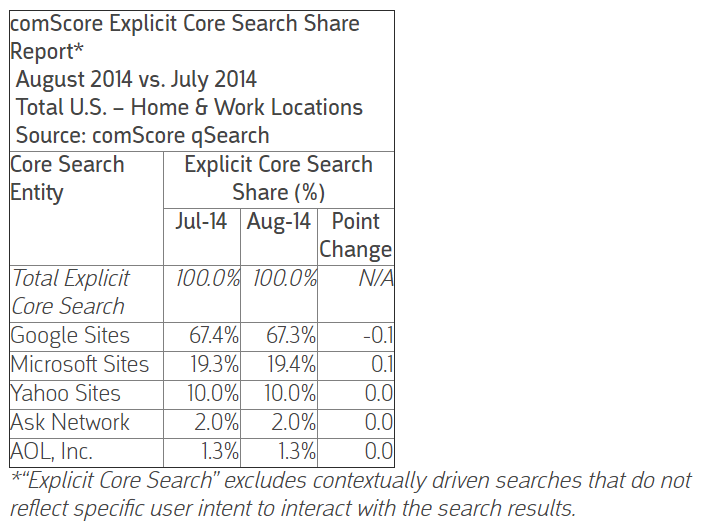 All search engines are now based on similar principles, but they are not created equal. Want to take a trip back in time? Try using Bing search results for a month and see how annoying it is to not get the best search results. Don’t get me wrong, I’m a proud PC owner and am glad that Bing is attempting to give Google competition. I’m also not a big fan of monopolies or the game of Monopoly (Settlers of Catan is way better). I’m even from the Seattle area….but that still doesn’t change that Bing just isn’t as good. Not even close. A lot of this is probably because their search engine is really an afterthought for Microsoft and their real focus as a company is moreso on their operating system. Search is Google’s bread and butter. They said that they tend to see 85-90% of their visitors from Google, and this is about on par with what we see with our clients as well. Long story short Google is absolutely dominating, and for better or worse probably will be for awhile. One link from a high-quality site can be worth far more than a number of links from lower quality sites. Moz’s Domain Authority is a metric I have mentioned before on this blog. It is a metric created by Moz that incorporates a number of metrics including the quantity and quality of the backlinks to your site in order to determine how likely it is to rank in Google. Page Authority is a similar metric used for individual pages. Both are on a logarithmic scale, meaning it is much harder to get from 20-30 than from 10-20 (about 2 times harder). If you want to see the Domain Authority and Page Authority for sites you can download the Moz Bar for your browser. The creator of Moz has a Domain Authority of over 90. This is very impressive, as remember it is harder to get from 80-90 than from 70-80, and that’s harder than from 60-70, etc. Domain Authority is meant to be more of a general guideline for the authority of your website relative to everything else on the web. It is not going to predict who shows up the highest for any individual search term, but generally will predict which site will show up for more search terms in general. Backlinks from sites with a higher Domain Authority are worth more than links from sites with lower Domain Authority, unless the links from the higher Domain Authority are ‘nofollow’ links. So what is a nofollow link? Generally speaking when someone links to your site they are giving your site more credibility and passing some of their own credibility on to you by associating with them. If someone makes their links ‘nofollow’ that means they do not want to pass on their credibility (often called ‘juice’) to you. Sites like Facebook generally do this for all of their links, and this is because any user can make an outbound link to anything from Facebook, so Facebook does not want to imply that they are endorsing anything. Blog comments are generally nofollow, as are places like Quora to avoid people making spammy posts just to get backlinks to their site. That said, just because someone is linking to you with a nofollow link does not mean it is worthless. It just has a different kind of worth. Generally speaking, Google is trying to figure out which links are legitimate links that will bring interested people to your website that find what they are looking for. If that happens it is a good link, ‘nofollow’ or not. They’re getting better at determining the differences. Having a high quantity of backlinks can mean all sorts of things, but without a number of other factors for context, it is hard to tell if this is a good thing or a bad thing. We had one client who had 50,000 backlinks at one point, but most of them were all from one site. This is a spammy link profile and something that can get you penalized. He was able to contact the person who had the website to get the links removed. The links were in the footer, which means they were all across the site. The site had also been made at a time when some spammy web practices were still getting results, and that is why he had so many pages published. Needless to say, the removing of the bad backlinks from his site along with an SEO overhaul caused his domain authority to rise from a 7 to a 21 in just 6 months! This is why we generally go by the number of linking domains. Despite having 50,000 backlinks, there were only about 50 linking domains to the site. That means there was either one site linking lots of times or numerous sites linking numerous times. After your site gets one link from a domain each successive link has less effect, and at some point, if a site is linking unnaturally to another site it can cause rankings to diminish. This is an easy red flag for Google and is a pretty telltale sign of either getting paid or spammy backlinks. This can sometimes happen on its own. If it happens, it is usually not a big deal. Just make sure not to seek this type of stuff out and you should be fine. Google’s disavow tool is not something that should be used often if at all, and should only be considered a last resort. Make sure to contact the website about getting the links taken down first. The quality and quantity of your backlinks are important. What is most important is your quantity of quality backlinks. The more important people that link to you the more important your site will look to Google and the more people that will find your site. Normally the best way to do this is by publishing especially original or insightful things on your blog. I’m not talking about content that is ‘original’ because it is the first time those words have been typed in that exact order, I’m talking about content that presents a topic in a different medium (graphics, infographics, etc.) or has a different perspective on a common topic (if somebody had a post saying backlinks aren’t a good thing they might get a lot of attention, even if they are wrong), or presents some original material like our in depth case study on SEO for general contractors. There are a number of tools available to measure your backlinks if you just search for ‘backlink checker’ on Google. I’d recommend trying 2-3 out and see how similar their results are, as they are often somewhat different. This is especially the case with more complicated backlinking profiles. If you would like to find out your Domain Authority or Page Authority that is a Moz metric, so you can go to their free tools and install their Moz Bar extension for Google Chrome if you want to constantly be monitoring the Domain Authority and Page Authority of different domains you visit, or you can do a one time search using Open Site Explorer. If you are interested in Domain Authority I would check out your own and how you compare to your main 3 competitors. This will give you an idea of how you compare. Once you find the answer to ‘what are backlinks’ many people skip directly to the question of ‘how to get backlinks’ without truly understanding them in the first place. Not all backlinks are created equal, and anchor text and placement of a backlink make a huge difference. Anchor text is the clickable part of a hyperlink. It is usually a different color than the other surrounding text to show it is a link. Links in the header/footer/sidebar: These are going to repeat throughout the site, and when another site links to your site this way it looks spammy. Don’t try to get these links. Links in a resource section (similar to Wikipedia link at beginning of this article): These are better than nothing, but are devalued because they are in an area that is populated by numerous other backlinks. A link that is in the middle of a blog post or page that has click here to find out more about local SEO: The anchor text in this example is ‘click here’, which says nothing about what the link is actually linking to. While Google probably looks at the surrounding text as well, the most important text by far is what is ‘clickable’. This link does not help Google know what the page that is being linked to is about or why this page is linking to it. These links are better than nothing, but still not overly helpful. Lots of links across different pages/posts with the same anchor text: If every link to one of your posts or pages uses the same anchor text (within your site or from another site) this looks spammy and like the links were created by a bot or some sort of automation. Don’t do it. Variability of anchor text is important and natural. Remember, Google can see billions of examples of anchor text for different sites, so they know what looks ‘natural’ and what does not. A link in a blog post that uses anchor text to describe that here is a great guide to local SEO: The anchor text of this link is telling Google that I am linking to this page because it is a great guide to local SEO, which is great for that page. Generally speaking, when other people are linking to your pages you do not have control over those links, so they will probably give you less than ideal anchor text. This is especially the case if they are linking to your page for a subject they are talking about and trying to rank for themselves. If you write a page that is targeted for local SEO and then link to someone else’s local SEO article using the anchor text of local SEO in that link you are basically saying that their article is more important about local SEO than your own. It is better to dig deeper and find what details you are linking to that page for and use that as anchor text. Then it is still good for them but won’t ruin your chances of your post ranking! Links placed higher on the page have more value than lower links: This is not something that will be under your control for backlinks to your site, but it is something to keep in mind when linking to your own site. Links placed on a page with better Page Authority and less other external links will have the most value: While the exact amount of ‘link juice’ passed on will always vary based on a number of different factors, Page Authority, the number of external links on that page, location on that page and the anchor text itself are all of the most important metrics! Why use backlinks at all if all you’re doing is helping out your competition? The first reason is that it will help your article. Google assumes any authoritative article on a subject will link to numerous other authoritative articles on the subject. If you aren’t linking to anything else you probably aren’t that important. This means you really want to link to some of the best articles on the subject matter like this article saying how important external links are, as it will help your link profile look better. While your outbound link profile (who you are backlinking to) is not measured the same by Google as your inbound link profile (who is linking to you) both are important. Make sure to choose carefully who you link to and for what. 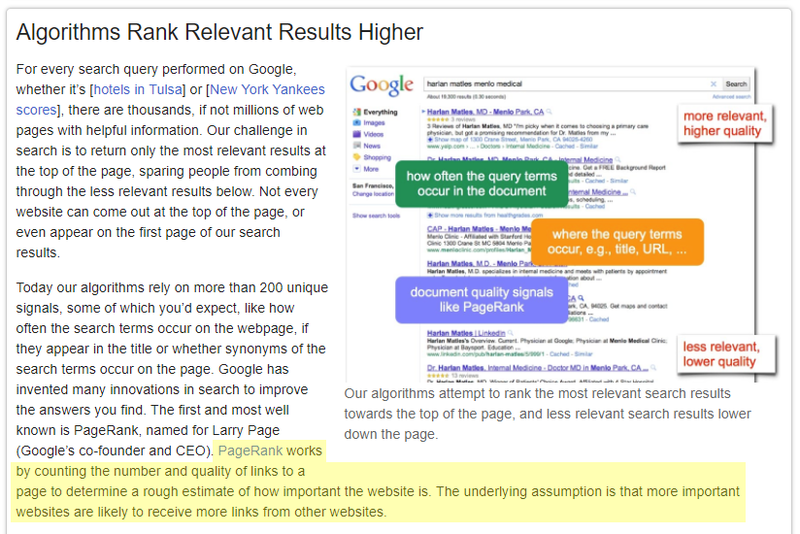 If you consistently link out to good sources this will help you with your rankings. Google doesn’t only measure backlinks from external sources, it is also measuring your links within your own site. It assumes that the pages you link to more often are the most important pages and posts. While some of this will be expressed through your link hierarchy and the organization of your site, how many times you link to different pages in the body of your text is very important. You should generally strive to link to a few different posts or pages within each different post or page. There’s no reason to go overboard here, as the more links you put on each page the less value each of them has. Each page only has so much ‘link juice’ it can give out, so be mindful of how you link. Do You Understand ‘What are Backlinks’ and ‘What are Quality Backlinks’? Hopefully, at this point, you understand the answers to the questions ‘what are backlinks’, and more importantly, ‘what are quality backlinks’. These will be important for your SEO journey. Understanding backlinks and how they work is perhaps the most important part of understanding why your site is or isn’t ranking for various search terms. Once you understand Domain Authority and Page Authority and take a look at your site relative to your top 3 competitors you should have a very clear idea of how you are doing in the online world. If you find out your competition is crushing it and you could use some help with your online presence contact us and we’ll help you get on track! High-quality backlinks are a vital part of SEO in Digital Marketing. In this article Importance of high-quality backlinks explained nicely here. Thanks for sharing.